The Milwaukee Business Journal recently released their "Best Places to Work" winners list, and Vizance is honored to be among the winners. According to the Milwaukee Business Journal, "Nearly 100 Milwaukee-area firms were nominated for the awards and the winners were determined based on scores from a survey that employees filled out. Each company that was nominated was ranked according to the 10 core areas of engagement: teamwork, retention, alignment with goals, trust with co-workers, individual contribution, manager effectiveness, trust in senior leaders, feeling valued, job satisfaction and benefits." 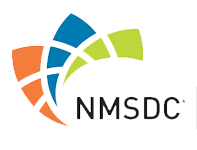 Additional information, including rankings, will be published in early December. What Does the PACE Act Mean to Me? The 7th Annual Food Drive has officially started! New this year is an additional push to support the Milwaukee Rescue Mission through social media. Each additional Page "Like" on the Vizance Facebook page will result in an increased donation to the Milwaukee Rescue Mission. We are accepting food donations of all kinds, at both Vizance locations, from now until November 23rd. Thank you for your support! Kristopher Sharpe has recently joined Vizance as an Account Executive. Prior to joining Vizance, Kristopher managed the insurance operations for Bronfman E. L. Rothschild (formerly Lake Country Wealth Management) for the past five years and has extensive experience in the design of personal and corporate insurance strategies. He holds his FINRA Series 7, FINRA Series 66 and WI Life, Accident, and Health Insurance licenses. Kristopher will be a resource for addressing life, long-term disability, and long-term care insurance needs. He views helping clients manage some of their risks through insurance planning as a significant part of the overall planning process and is eager to share his knowledge and resources. The Milwaukee Business Journal recently released its list of the 31 winners selected for the Fastest Growing Firms awards, and Vizance is honored to be among those chosen. This award recognizes Southeastern Wisconsin companies for significant growth over the past three years. The 2015 winners will be recognized at an awards luncheon on August 13th in Milwaukee, as well as in the Business Journal's August 14th edition. Vizance is grateful to its associates and clients for their continued support, which makes this award, and others, possible. 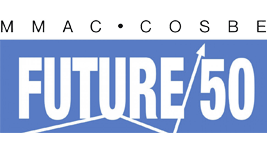 Vizance is proud to have been named a 2015 Future 50 award winner by the Metropolitan Milwaukee Association of Commerce. The Future 50 program recognizes privately-owned companies in the seven-county Milwaukee Region that have been in business for at least three years and have shown significant revenue and employment growth. Vizance, together with the other award recipients, will be honored at the 28th Annual Awards Luncheon in September.